The Global Swim Series is a collection of independent races from all over the world that have joined together to promote open water swimming and a healthy, active and adventurous lifestyle. 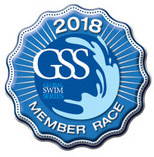 Tens of thousands of swimmers participate in GSS races and also compete against swimmers from around the world using our unique Global Ranking system that recognizes both speed and participation. Register now for the C3 Open Water Swim Series of 2 races, for all abilities, ranging from 400m to 10km. Start collecting your GSS Points and build your Global Ranking! 1km, 2km, 4km and 10km Open Water swims around 1 km safe loop. Your choice of wetsuit or non-wetsuit option. participants included those who love to open water swim, those looking for a fun new challenge, those who were pool swimmers looking for a summer event and those who are triathletes getting ready for their events. Participants will do 1, 2 or 4 loops around the course. The course is marked every 50m with swim buoys in a rectangular shape from the beach. The cost is $30.00 and includes post-race BBQ meal, timed event, draw prizes, music, and a fun afternoon of swimming at the C3 quarry located just 30min north of Toronto in Caledon. Races are included in C3 Triathlon and Quarry Memberships. You still need to register (below). Awards and prizes handed out immediately after the race. There will be a wetsuit and a non-wetsuit option for all events.